Successful candidates will demonstrate the ability to work independently, be highly organized with a proven capacity to multi-task, exhibit excellent customer service skills, excellent verbal and written communication skills, be computer literate, and have a professional demeanor with the ability to keep a cool head in stressful situations. Experience with Microsoft Office Products (Word& Excel) desired. All Candidates must be able to provide evidence of eligibility to work in the USA (or Canada for our Canada-based opportunities). If you reside in the stated regional area and believe you have what it takes to join our impressive team, we would love to connect with you! Please e-mail your resume and salary history with a brief cover letter highlighting your unique qualifications to careers@ingersoll-imc.com. Ingersoll Cutting Tools Company is proud to be part of the IMC Group of Companies with 150 subsidiaries in 60 countries. Our US operations are housed on our state-of-the-art manufacturing and marketing campus in Rockford, Illinois. We are currently accepting applications for an Inside Sales Order Entry Representative. If you reside in the stated regional area and believe you have what it takes to join our impressive team, we would love to connect with you! For consideration, please submit your resume and salary history with a brief cover letter highlighting your unique qualifications to careers@ingersoll-imc.com. Ingersoll Cutting Tools Company is proud to be part of the IMC Group of Companies with 150 subsidiaries in 60 countries. Our US operations are housed on our state-of-the-art manufacturing and marketing campus in Rockford, Illinois. We are currently accepting applications for a Manual Machine Operator. 1-year experience in a machine shop enviroment required. Will consider entry level candidates with steady work history and relevant experience such as material handling, assembly, automotive repair, or manual/basic machine operation. This is a full time 1st shift position that may require regular overtime based on workflow demands, including long shifts and mandatory weekend work. Successful candidates will demonstrate the ability to work independently, be highly organized with a proven capacity to multi-task, exhibit excellent customer service skills, excellent verbal and written communication skills, be computer literate, and have a professional demeanor with the ability to keep a cool head in stressful situations. If you believe you have what it takes to join our impressive team, we would love to connect with you! Please e-mail your resume with a brief cover letter highlighting your unique qualifications to careers@ingersoll-imc.com. Ingersoll Cutting Tools Company is proud to be part of the IMC Group of Companies with 150 subsidiaries in 60 countries. Our US operations are housed on our state-of-the-art manufacturing and marketing campus in Rockford, Illinois. We are currently accepting applications for a Machine Maintenance Technician that will provide maintenance support for production machinery. Minimum of 5 years of mechanical/electrical machine troubleshooting and repair experience in a manufacturing environment. Degree and or specialized training in related field a plus. Proficient in reading and applying mechanical prints and electrical schematics for troubleshooting of machine issues. Ability to lift/ carry parts/equipment up to 75 pounds. On job success in safety, attendance and quality of work. Excellent teamwork, cooperation and problem solving skills. Willingness to cross train in other technical areas to enhance capabilities. Willingness to work overtime as required to insure plant production stays on pace. 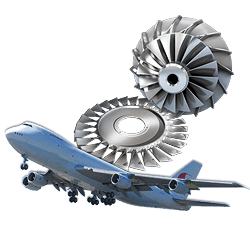 Proficient with computer systems to aid in daily maintenance processes, spare part ordering and work order documentation. This is a full time 2nd shift position that may require regular overtime based on workflow demands, including long shifts and mandatory weekend work. Ingersoll Cutting Tools Company is proud to be part of the IMC Group of Companies with 150 subsidiaries in 60 countries. Our US operations are housed on our state-of-the-art manufacturing and marketing campus in Rockford, Illinois. We are currently accepting applications for a Warehouse Clerk/ Driver. This is a, full time 1st shift position that may require regular overtime based on workflow demands, including long shifts and weekend work. Successful candidates will demonstrate the ability to work both independently as well as with others in a team environment. Candidates should be highly organized, possess a good work ethic, be safety conscious, and selfmotivated with a proven capacity to multi-task. Excellent verbal and written communication skills, computer literacy, strong attention to detail and a professional demeanor, with the ability to keep a cool head in stressful situations is desired. Ingersoll Cutting Tools Company is proud to be part of the IMC Group of Companies with 150 subsidiaries in 60 countries. Our US operations are housed on our state-of-the-art manufacturing and marketing campus in Rockford, Illinois. We are currently accepting applications for a General Accountant. Requires A Bachelor Degree in Accounting from an accredited 4-year college or university. Preferred candidate will have 5 or more years progressive experience, ideally from within a manufacturing environment, performing accounting roles similar to the posted primary responsibilities of this position. We will consider mentoring a unique candidate with less than the minimum experience who meets the minimum educational credential requirement and has at least one year work experience from within an office environment, if at our sole discretion, otherwise presents as an excellent candidate. This position requires a high level of organization, good written and verbal communication skills, and proficiency in Excel and other Microsoft Office programs. If you believe you have what it takes to join our impressive team, we would love to connect with you! Please submit your resume with a brief cover letter highlighting your unique qualifications and salary history to careers@ingersoll-imc.com. Ingersoll Cutting Tools Company is proud to be part of the IMC Group of Companies with 150 subsidiaries in 60 countries. Our US operations are housed on our state-of-the-art manufacturing and marketing campus in Rockford, Illinois. We are currently accepting applications for a Product Manager - Indexable Milling. The ideal candidate for this highly visible position requires a unique mix of administrative and manufacturing experience. 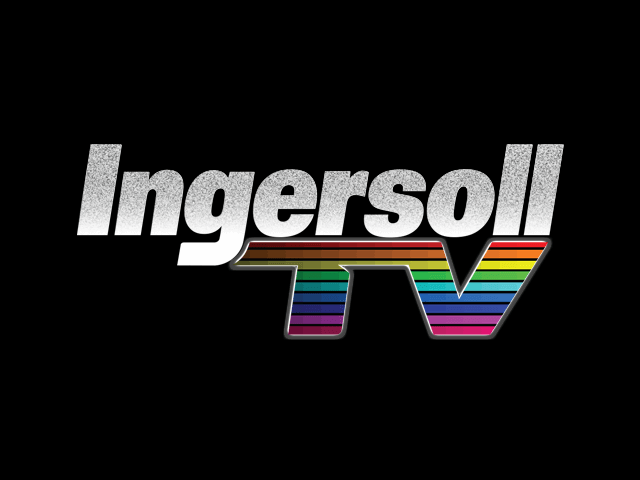 The position requires working alongside all departments within Ingersoll including Communication, Logistics, Research and Development, Engineering, Production, Quality, Inside-Sales and Distribution. It also requires supporting and working along-side Field-Sales and customers. As such the successful candidates will demonstrate the ability to work independently, be highly organized with a proven capacity to multi-task, exhibit excellent customer service skills, excellent verbal/written communication skills, computer proficiency, and have a professional demeanor. Ingersoll Cutting Tools Company is proud to be part of the IMC Group of Companies with 150 subsidiaries in 60 countries. Our US operations are housed on our state-of-the-art manufacturing and marketing campus in Rockford, Illinois. We are currently accepting applications for an Accounting Mangager. Coordinate actions and journal entry postings intersecting various accounting functions. Review and approve or release all outgoing payments by check, ACH or wire. Successful candidates will demonstrate the ability to work both independently as well as with others in a team environment. Candidates should be highly organized, possess a good work ethic, be safety conscious, and self-motivated with a proven capacity to multi-task. Excellent verbal and written communication skills, computer literacy, strong attention to detail and a professional demeanor, with the ability to keep a cool head in stressful situations is desired. Ingersoll Cutting Tools Company is proud to be part of the IMC Group of Companies with 150 subsidiaries in 60 countries. Our US operations are housed on our state-of-the-art manufacturing and marketing campus in Rockford, Illinois. We are currently accepting applications for a CNC Mill Turn Machine Set-up/Operator. Minimum 5 years CNC turning/milling experience or 3 years’ experience coupled with appropriate trade school experience. This is a full-time 2nd shift position that may require regular overtime based on workflow demands, including long shifts and weekend work. Ingersoll Cutting Tools Company is proud to be part of the IMC Group of Companies with 150 subsidiaries in 60 countries. Our US operations are housed on our state-of-the-art manufacturing and marketing campus in Rockford, Illinois. We are currently accepting applications for a CNC Lathe Machine Set-Up/Operator. This is a full time 1st shift position that may require regular overtime based on workflow demands, including long shifts and weekend work. Ingersoll Cutting Tools Company is proud to be part of the IMC Group of Companies with 150 subsidiaries in 60 countries. Our US operations are housed on our state-of-the-art manufacturing and marketing campus in Rockford, Illinois. We are currently accepting applications for a Project Engineer. Literate in Microsoft Word, PowerPoint and Excel. CAD and/or Creo software experience preferred. Ingersoll Cutting Tools Company is proud to be part of the IMC Group of Companies with 150 subsidiaries in 60 countries. Our US operations are housed on our state-of-the-art manufacturing and marketing campus in Rockford, Illinois. We are currently accepting applications for a Proposal Engineer. Ingersoll Cutting Tools Company is proud to be part of the IMC Group of Companies with 150 subsidiaries in 60 countries. Our US operations are housed on our state-of-the-art manufacturing and marketing campus in Rockford, Illinois. We are currently accepting applications for a Warehouse Clerk/Driver. Ingersoll Cutting Tools Company is proud to be part of the IMC Group of Companies with 150 subsidiaries in 60 countries. Our US operations are housed on our state-of-the-art manufacturing and marketing campus in Rockford, Illinois. We are currently accepting applications for a Warehouse Clerk. Operates forklifts, pallet jacks, and other equipment in the execution of duties. Ensuring safety guidelines are met in equipment operation. Minimum 1 year of general warehouse, scheduling or related experience. Basic math and computer skills along with good written and verbal communication skills. Must be able to physically lift up to 50 lbs. on a daily basis. Ingersoll Cutting Tools Company is proud to be part of the IMC Group of Companies with 150 subsidiaries in 60 countries. Our US operations are housed on our state-of-the-art manufacturing and marketing campus in Rockford, Illinois. We are currently accepting applications for a Machine Operator/Tender. This is an entry level, full time 1st shift position that may require regular overtime based on workflow demands, including long shifts and weekend work. If you believe you have what it takes to join our impressive team, we would love to connect with you! Please e-mail your resume and a brief cover letter highlighting your unique qualifications to careers@ingersoll-imc.com. Ingersoll Cutting Tools Company is proud to be part of the IMC Group of Companies with 150 subsidiaries in 60 countries. Our US operations are housed on our state-of-the-art manufacturing and marketing campus in Rockford, Illinois. We are currently accepting applications for an experienced Inside Sales Order Entry Representative. This is a full time position in a professional office setting. If you reside in the stated regional area and believe you have what it takes to join our impressive team, we would love to connect with you! Please submit your resume and salary history with a brief cover letter highlighting your unique qualifications to careers@ingersoll-imc.com. Field Sales Candidates will have a strong hands-on machining background with experience applying cutting tools in various work piece materials and some past experience in CNC programming (manual and with CAM systems). Direct sales experience desired, but we are willing to work with the right candidate to shape these skills. If you believe you have what it takes to join our impressive team, we would love to connect with you! Please e-mail your resume, salary requirements, and a cover letter highlighting your unique qualifications to careers@ingersoll-imc.com. Ingersoll Cutting Tools Company is proud to be part of the IMC Group of Companies with 150 subsidiaries in 60 countries. Our US operations are housed on our state-of-the-art manufacturing and marketing campus in Rockford, Illinois. We are currently accepting applications for a Product Manager for Solid Carbide Mills and Drills. Remote and/or on-site training, technical and applications support for sales team, distributors, and end users. Requires a minimum of 5 years’ progressive combined experience in 2 or more of the following; designing, manufacturing, selling, application, or troubleshooting cutting tools, preferably with solid carbide or 2 years of relevant experience in conjunction with completion of an Associate Degree or Bachelor Degree in Engineering, Manufacturing, or Marketing. 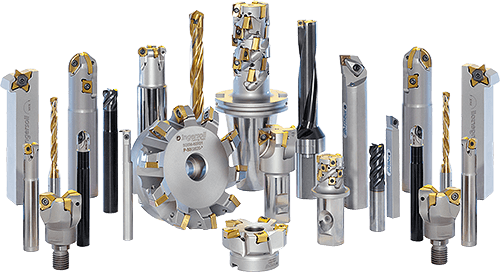 Excellent technical comprehension and application of machine cutting tool fundamentals, applications, and cutting tool technologies, preferably with solid carbide. Ingersoll Cutting Tools Company is proud to be part of the IMC Group of Companies with 150 subsidiaries in 60 countries. Our US operations are housed on our state-of-the-art manufacturing and marketing campus in Rockford, Illinois. We are currently accepting applications for a Surface Polish Machine Operator. This is a physically demanding position requiring frequent lifting up to 10 lbs. This is an entry level, full time 2nd shift position that may require regular overtime based on workflow demands, including long shifts and weekend work. Ingersoll Cutting Tools Company is proud to be part of the IMC Group of Companies with 150 subsidiaries in 60 countries. Our US operations are housed on our state-of-the-art manufacturing and marketing campus in Rockford, Illinois. We are currently accepting applications for a Multi-Axis CNC Grinding Machine Operator. This is a full time 2nd shift position that may require regular overtime based on workflow demands, including long shifts and mandatory weekend work rotations. This is a full time 3rd shift position that may require regular overtime based on workflow demands, including long shifts and mandatory weekend work rotations. Ingersoll Cutting Tools Company is proud to be part of the IMC Group of Companies with 150 subsidiaries in 60 countries. Our US operations are housed on our state-of-the-art manufacturing and marketing campus in Rockford, Illinois. We are currently accepting applications for a Manual Deburr Technician. Ingersoll Cutting Tools Company is proud to be part of the IMC Group of Companies with 150 subsidiaries in 60 countries. Our US operations are housed on our state-of-the-art manufacturing and marketing campus in Rockford, Illinois. We are currently accepting applications for a Quality Assurance Final Inspection Technician. Minimum 2 years Inspection experience in a metal cutting and/or grinding manufacturing environment. Working knowledge of carbide grinding a plus. If you believe you have what it takes to join our impressive team, we would love to connect with you! Please submit your resume with a brief cover letter highlighting your unique qualifications to careers@ingersoll-imc.com. If you believe you have what it takes to join our impressive team, we would love to connect with you! Please submit your resume and a brief cover letter highlighting your unique qualifications to careers@ingersoll-imc.com. Ingersoll Cutting Tools Company is proud to be part of the IMC Group of Companies with 150 subsidiaries in 60 countries. Our US operations are housed on our state-of-the-art manufacturing and marketing campus in Rockford, Illinois. We are currently accepting applications for an Electrical Machine Maintenance Technician. Minimum of 5 year of electrical machine troubleshooting and repair experience in a manufacturing environment. Degree and or specialized training in related field a plus. Proficient in reading blueprints and electrical schematics for troubleshooting of machine issues. Willingness to work overtime as required to ensure plant production stays on pace. If you believe you have what it takes to join our impressive team, we would love to connect with you! Please email your resume with a brief cover letter highlighting your unique qualifications to careers@ingersoll-imc.com.